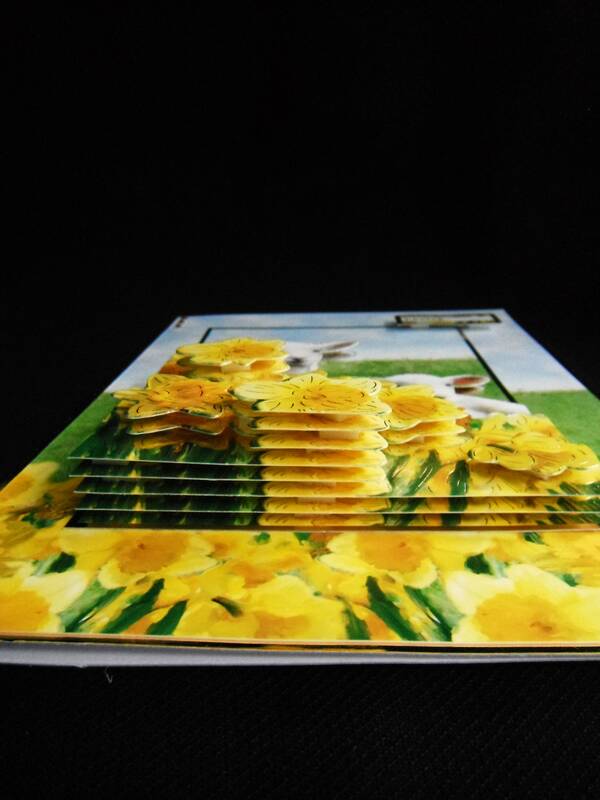 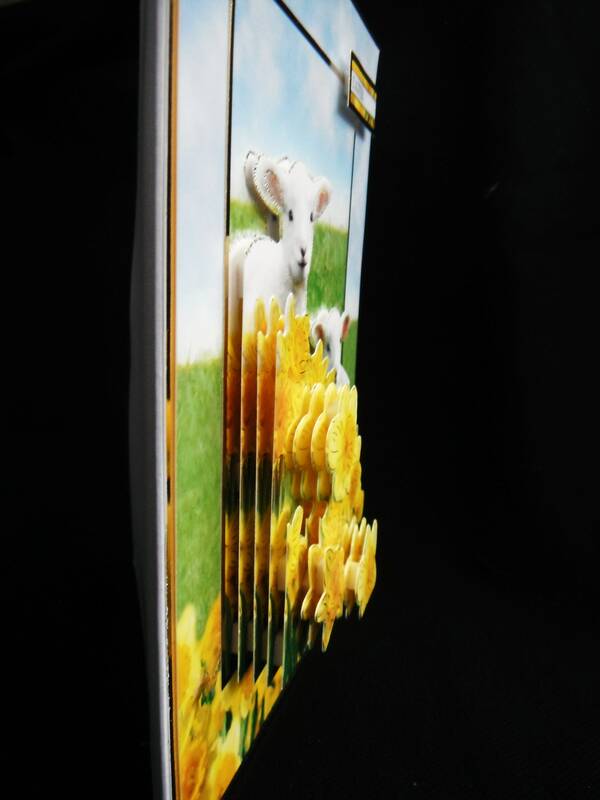 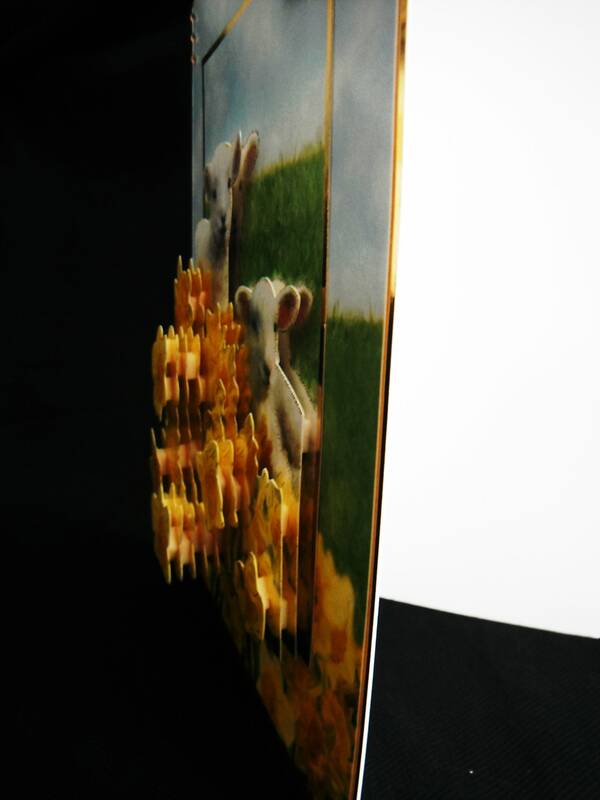 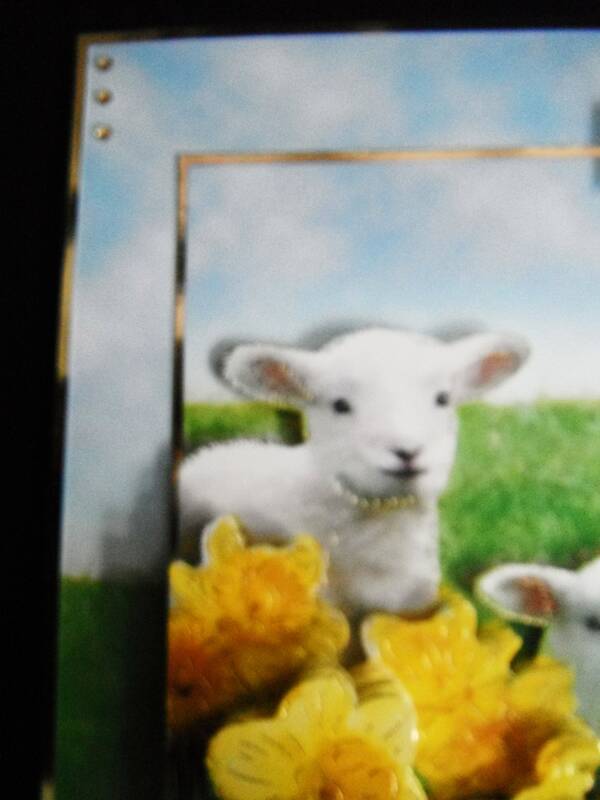 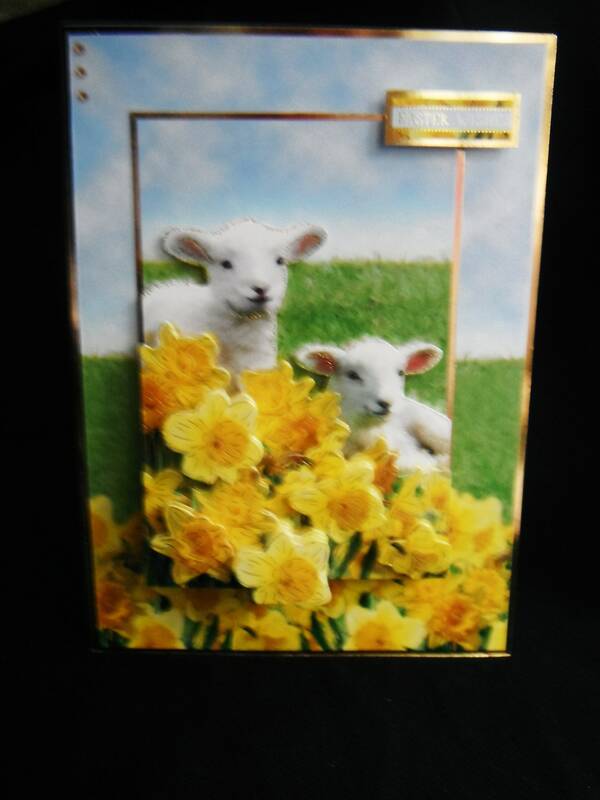 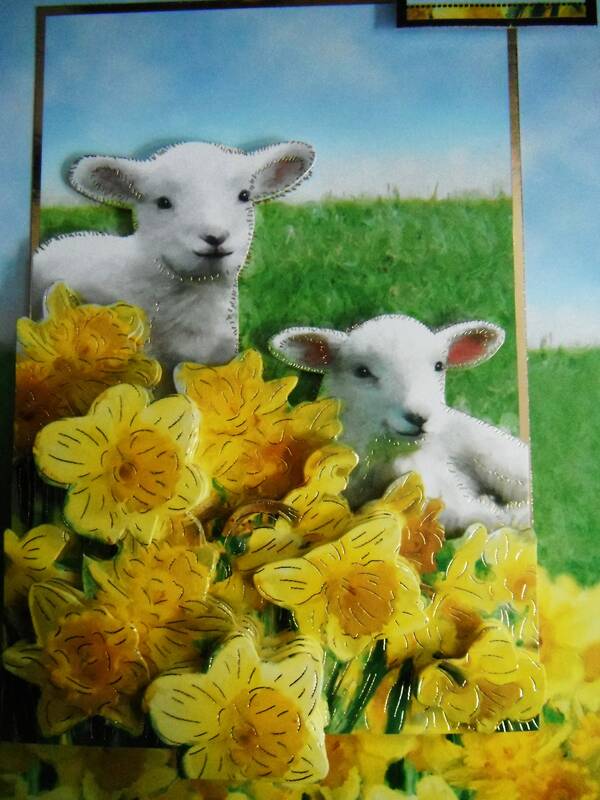 A 3D decoupage card of Spring lambs. 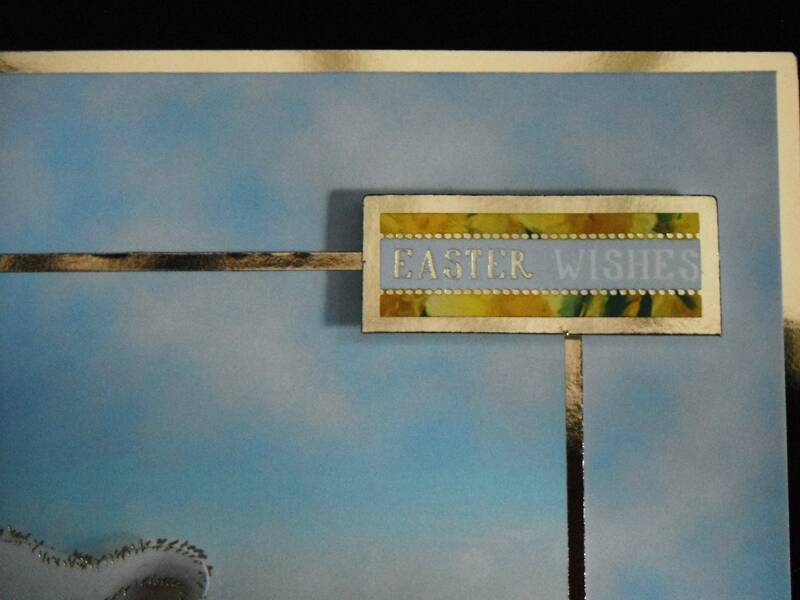 Made from white base card layered with gold card and patterned card, with a large topper in the centre of the card has several layers of decoupage to give dimension to the card, a small sentiment in the top corner of the card which says, 'Easter wishes'. 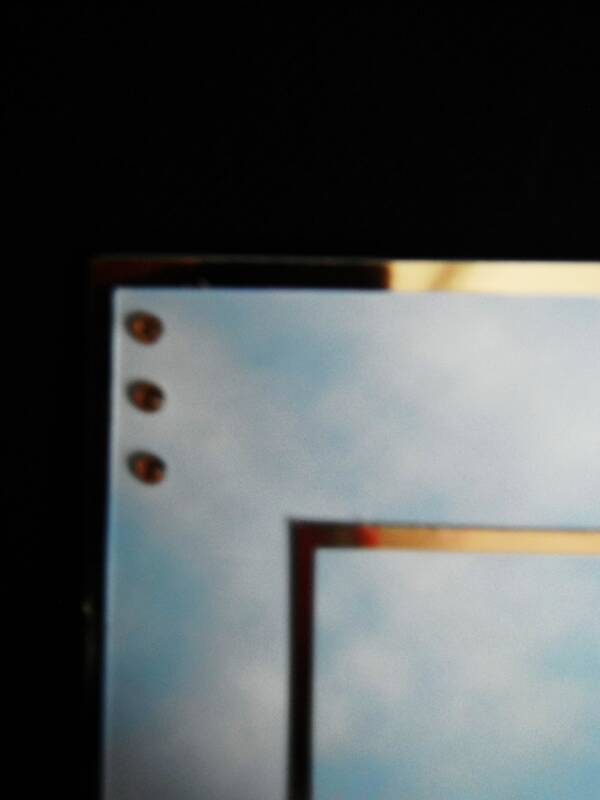 In the top left hand corner are 3 crystal embellishments. 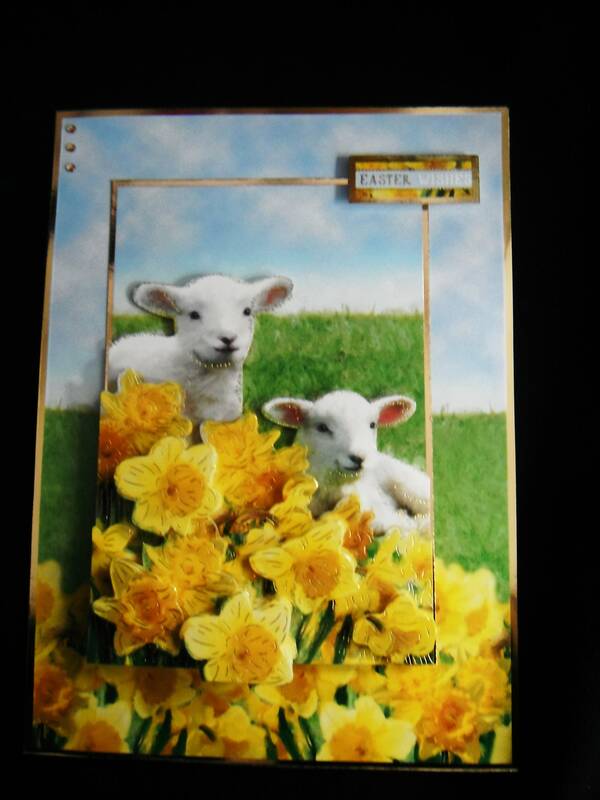 The card measures 6 icn x 8 inch, 15 cm x 20 cm, includes a white envelope.